In a slew of climate change related news this week, Iran’s city of Ahvaz saw temperatures hit near the highest readings ever recorded on Earth, a new scientific model study has found that climate change made the recent heatwave that hit Europe this June two to ten times more likely, and climate change deniers lost a major cherry-picked talking point as the most recent satellite data now confirms the rapid global temperature rise that ground stations have been reporting all along. On Thursday, in Ahvaz, Iran, temperatures hit a blazing 53.7 degrees Celsius or 128.66 degrees Fahrenheit. These temperatures were just shy of the 54 C (129.2 F) global records in Mitribah, Kuwait on July 21, 2016 and in California’s Death Valley on July 30, 2013 identified by Chris C Burt of Weather Underground. The reading was also the hottest temperature ever recorded in Asia. This very severe high temperature came just one day after the thermometer struck 52.9 C (127.2 F) on Wednesday and is the strongest temperature spike of a broader Middle Eastern heatwave that has been baking the near-Persian-Gulf-region for many days. Such severe heat did not, however, tip wet bulb readings above the 35 C human self-cooling threshold despite an extremely hazardous heat index near 142 F. A combined dew point of 72 F, a 129 F temperature, and 995 hPa pressure resulted in wet bulb readings of around 30.2 C for the city — quite dangerous, but not beyond the human limit for temperature self-regulation. As the Middle East was testing new all-time high temperature records for planet Earth, Europe was also sweltering under combined severe heat and drought. Throughout June, dry weather and high temperatures have plagued Europe. Extreme record heat sweltered the UK, France, Switzerland, the Netherlands, and Belgium — setting off heat emergencies and forcing some regions to ration water. Belgium as a country saw its highest night-time temperature readings on record. England endured its hottest day since 1976. Meanwhile, the heat and extreme dryness set off wildfires that resulted in the tragic loss of 64 lives in Portugal while 1,500 were forced to evacuate from similar extreme blazes in Spain. In another climate science related development, remote sensing researchers at the University of California have significantly revised their lower troposphere temperature record. The revision corrected for orbital decay in satellites that caused the world to appear to warm more slowly than actual trends. As a result of these revisions, a significant subset of the satellite data now largely confirms the more accurate land based temperature record showing significant global warming over the past few decades. 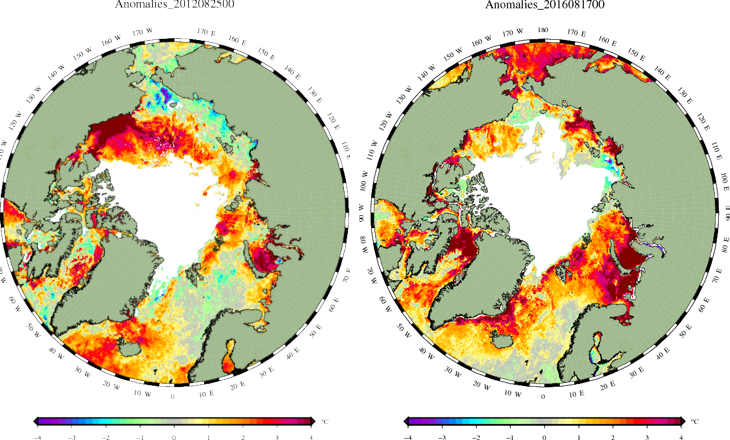 Unlike the satellite temperature record, where only a few satellites are measuring temperatures at any given point of time, there is a large amount of redundancy in surface temperature observations, with multiple independent sets of data producing consistent results. Therefore, it is not too surprising that corrections to problems with satellite data would move them closer to surface records. Climate change deniers (self-labeled skeptics), have long pointed to satellite data showing the Earth warming at a slower rate than land-based measures. These ‘skeptics’ have then gone on to falsely claim that such data throws the whole issue of human-caused climate change into doubt. But this same group has failed to acknowledge the fact that orbital decay, as pointed out by the very researchers that run the satellite sensors, tends to result in artificially cool readings. The recent reworking of satellite data to account for orbital decay along with researchers’ direct acknowledgement of the higher accuracy of land-based data removes the rational scientific basis for this line of ‘climate skeptic’ argumentation and renders past assertions in this vein mostly moot.